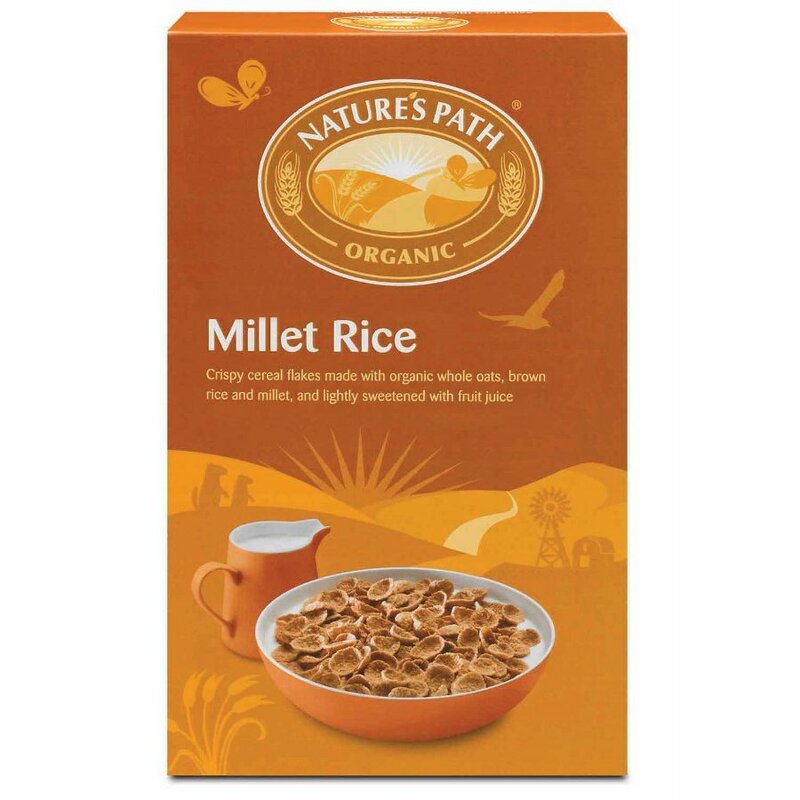 These oatbran Millet Rice Flakes from Nature's Path are a great healthy wholegrain breakfast; low in sugar and sweetened with organic fruit juice. Wheat free and vegan friendly. 375g. Whole Oat Flour* (62%), Concentrated Pear Juice* (17%), Brown Rice Flour* (8.6%), Whole Millet* (4.8%), Oat Bran* (5%), Barley Malt Extract*, Sea Salt. Contains barley and oats, may contain peanuts, nuts and soya. 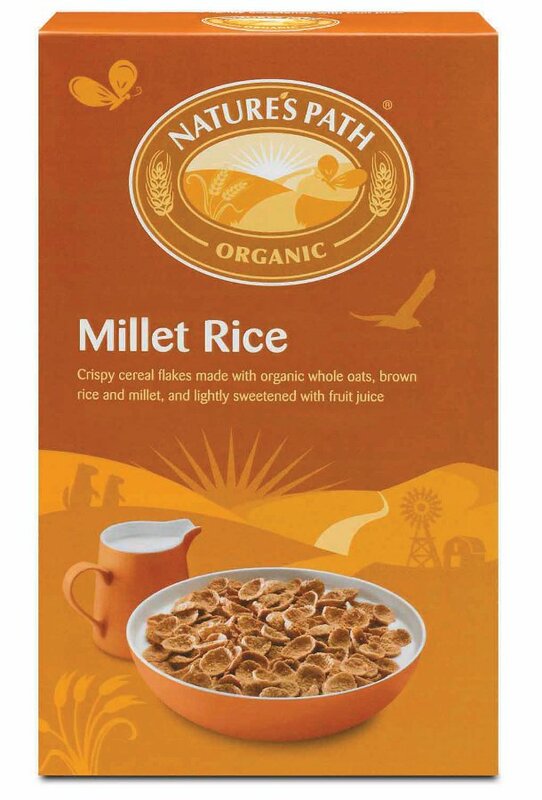 The Nature's Path Organic Millet Rice Flakes - 375g product ethics are indicated below. To learn more about these product ethics and to see related products, follow the links below. One of the most satisfying organic cereals. It makes a good base to mix with chopped nuts, seeds, dried fruit or home-made muesli. I wish it was gluten free too. I love Nature's Path cereal! There are currently no questions to display about Nature's Path Organic Millet Rice Flakes - 375g.